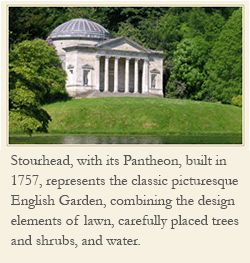 Eighteenth century England initiated the natural or picturesque view of the landscape, with its signature lawn, curved walks, groups of shrubs, and carefully placed trees. English landscape designer Edward Kemp (1817-1891) in his book of the mid 1800s How to Lay out a Small Garden believed that the natural view, or the old landscape garden view, should also include straight lines and symmetrical patterns where needed. He opts for a blending of the two design styles at a time when flower beds on the lawn became popular, creating the Victorian garden design. 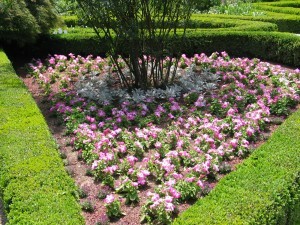 America’s gardens reflected the change. 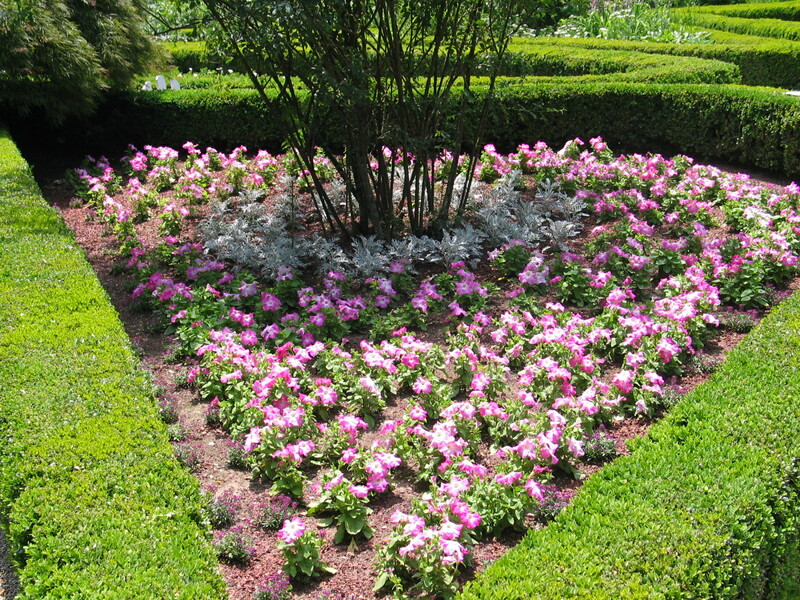 And so America also launched into a period of carpet bedding and ribbon design on the lawn, where plants were arranged by size and color and kept trimmed to a desired height. 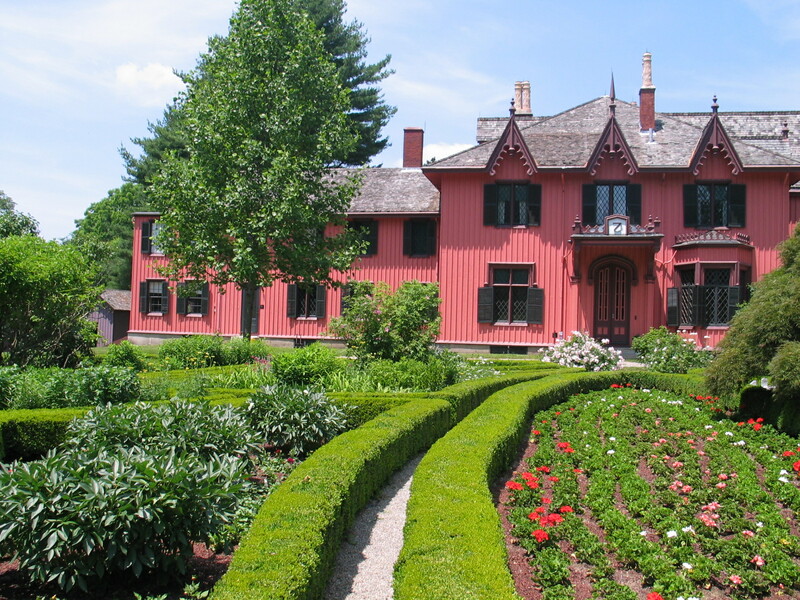 Today in Woodstock, Connecticut you can see a 19th century garden, called Roseland Cottage, designed with a formality about it but still with a trace of the picturesque style. The north lawn, which was once used for croquet, extends behind the house. Do you like both the natural and a more artful, or clearly designed, expression in the landscape, or prefer one over the other? 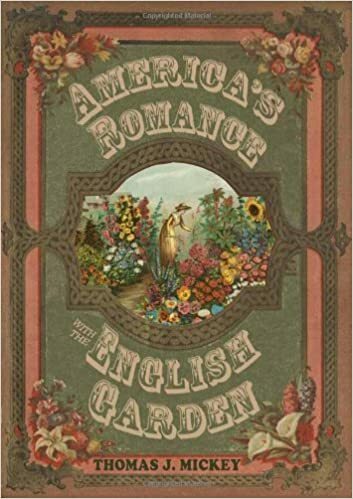 Nineteenth century English and American garden writers and designers debated the question for decades. At the end of the century there was a clear return to formality, both in England and America.